Preparation time: 5 minutesCooking time: 10 minutesServes: 1. It’s December- yes, bring on the Christmas treats! However, for many looms the reality that it also happens to be summer over here…. a.k.a bikini season. 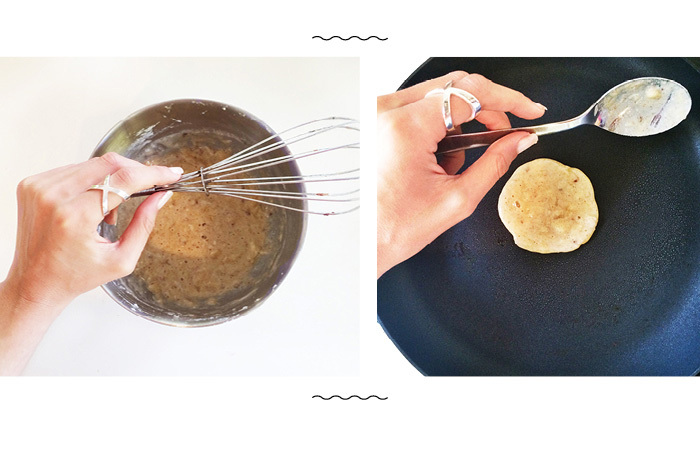 Well here’s the fact: with my recipes, you can have your (pan)cake and eat it too! 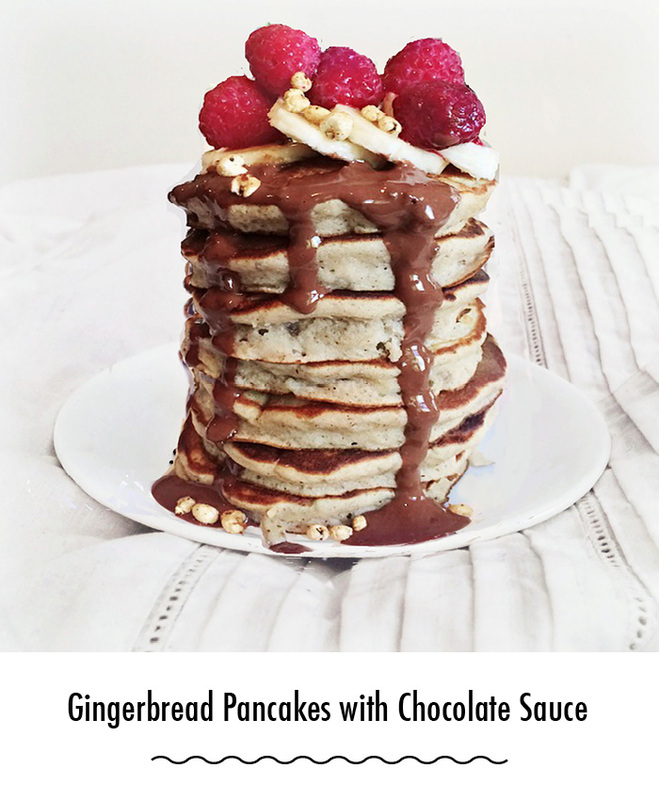 These gingerbread pancakes are full of nutrition and insanely delish- I promise! I often double, triple or quadruple the recipe if cooking for more people. 1. Combine dry ingredients in a small mixing bowl. 2. 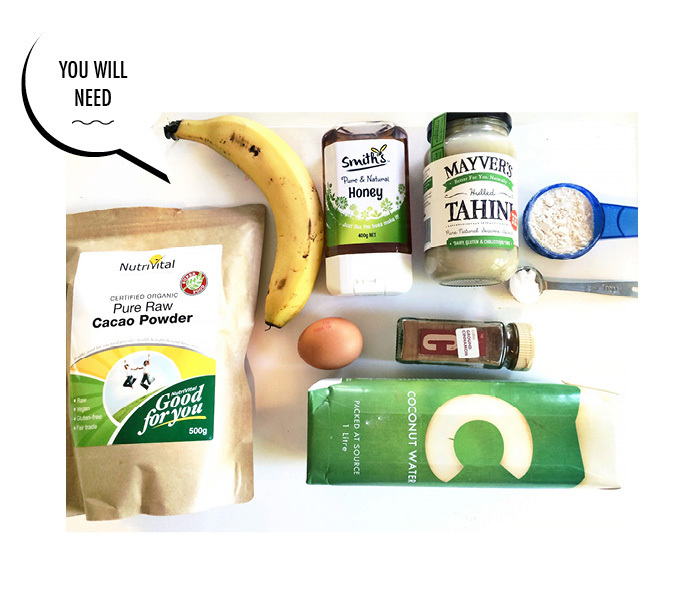 Place all wet ingredients together and whisk. 3. Fold into dry ingredients. 5. Melt half a teaspoon of coconut oil in a frypan on medium heat, placing about ¼ cup of mixture on the pan each time in a circular shape. I don’t spread mine out too much as it allows them to become fluffy and thick! Leave it for a minute or 2 or until small bubbles form, then flip! Note: if you don’t like banana, feel free to leave out! Just add less liquid! 1. To make the sauce, simply combine the above ingredients until it has reached a consistency that is slightly thick, but still runny. 2. 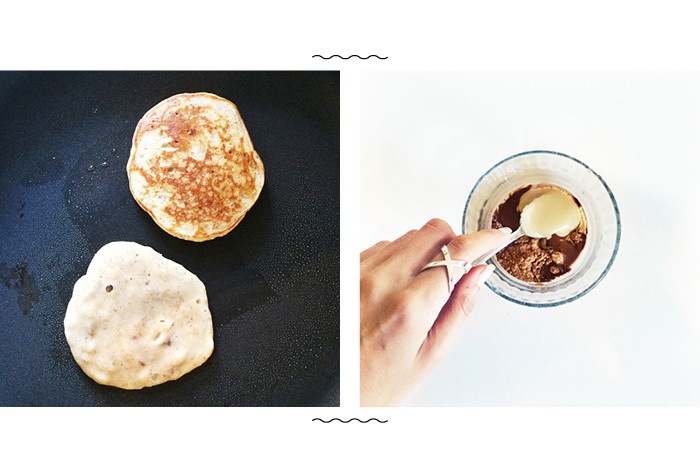 Pour the sauce over pancakes! 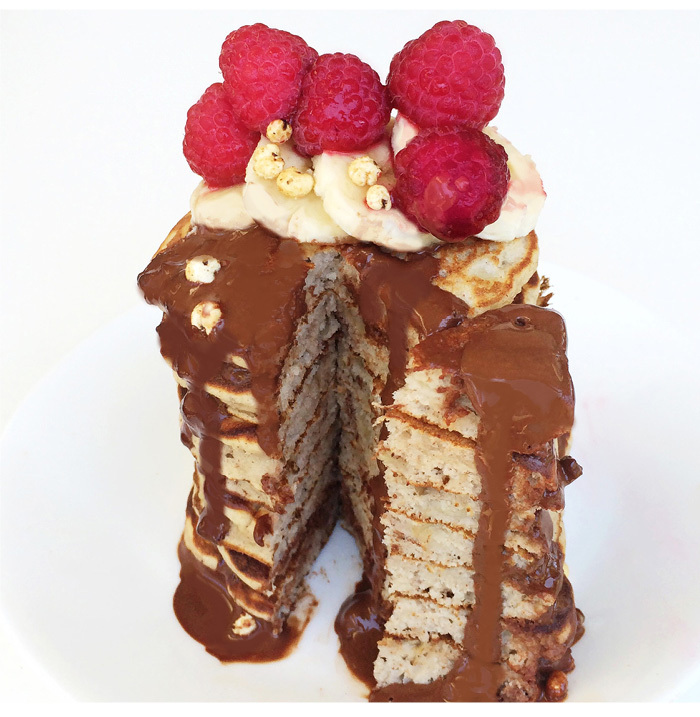 Top with fresh berries, activated nuts, banana, cacao nibs or whatever you desire!